If you like magic carpet rides, really big elephants, scary witches, fantastical adventures, or even hairy monsters, then Broomstick Books may be right for you. We don't guarantee, however, that you won't get lost in the dark, foreboding woods at night; or that you may end up in a hot air balloon every now and then. Nevertheless, we promise that you will enjoy every minute of your adventure, be it on air or on land! If you are interested in submitting your work to Broomstick Books for publication, please read our submission guidelines carefully prior to submitting your work. Please note that we are a children's publisher, and our work will be read by young readers. Because of this, we do not accept any work that is excessively gory, or that contains adult material and/or themes. Any work which we deem inappropriate will be rejected immediately. Please note that our submission guidelines have recently changed. Please note that these guidelines have been recently revised. As of August 1, 2010, we will be closed to submissions. As of this time, we do not have a set date to reopen our submissions, as Black Lantern is undergoing some new and improved changes, though hope to begin accepting submissions again in 2011. At that time, please refer to our revised submission dates prior to submitting your work. Fantasy..... works that are set in fantastical worlds or that involve fantastical, inexplicable events. Please do not send works where characters have strange and often times extremely difficult to pronounce names. 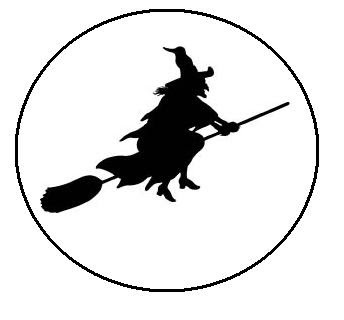 We are very particular about the fantasy works which we accept, so please make sure your work is a good fit for Broomstick Books, prior to submitting your piece. Mystery.... works with dark or eerie settings that usually involve a ghost or two, though your typical detective stories are fine as well. Adventure.... works where the characters go on a quest or a journey to solve one world problem or another. Please do not include graphic fight scenes or epics. Folktales.... works with a mythical twist or that perhaps retell a favorite folkstory from a new perspective. Please make sure these stories have well-developed characters and plot lines! Please note that if your work does not fall under one of these categories, you should explain what genre you feel your work is best suited for in your cover letter. your complete manuscript in the form of word documents or .pdf files only. Please submit only one piece at a time for consideration. We do consider simultaneous submissions, however, please inform us immediately if your work has been accepted elsewhere. email your submissions to broomstickbooksubmissions@gmail.com. At this time, we do not accept paper submissions. We do accept poetry, and have published some exceptional poets in the past. For poetry, send at most three poems per submission for consideration. Do not send additional submissions until your work has been accepted. We do read each and every submission with the utmost care, so we ask that our writers limit their the number of pieces they submit at a time, so that we may dedicate as much time as possible to each individual piece. If we decide that your piece is a good fit for Broomstick Books, than we will inform you personally via email within a three months time frame. If you do not feel that your piece is a good fit for this imprint, but feel that it is a good fit for Black Lantern or Crow's Nest, we will offer that opportunity to you. However, please note that we reserve the right to publish your piece where we deem it fits best. We do this with the utmost intention of achieving the most suitability and most appropriate audience for viewing your work. Generally, we will notify you in your acceptance email when your piece will be available for viewing. Please understand that it takes a great deal of time to review, edit, and prepare each piece for publication. If you feel that your piece requires additional corrections to the ones that have already been suggested by the Editor-in-Chief after its publication, please note that these requests for changes will not be made. We expect our writers to submit only the very best, most polished work in their collection, and requests for changes after publication is a very time consuming task, with the amount of new submissions we receive every day. Requests for changes prior to publication should be addressed to the Editor-in-Chief at broomstickbooks@gmail.com. Please do not send requests for changes via our submission page, as these emails will be disregarded. At this time, we are not accepting paper submissions. Please send only your very best, most polished work for consideration. email your submissions to broomstickbooksartsubmissions@gmail.com. We prefer electronic submissions, and your work should be in JPEG format. If you have questions concerning submissions, please feel free to query us at broomstickbooks@gmail.com. Contributors retain all publication & serial rights subsequent to those permissions granted to appear here. At this time, we do not pay our contributors. We do our best to respond personally to each submission, however, we are a growing publishing company and must ask that you be patient with response times. Please allow at least three months response time before querying about the status of your submission. At this time, Broomstick Books is simply in online format. We do not publish a print edition of this imprint. Please refer to our Open to Submissions page to see when we are accepting submissions. Broomstick Books © 2009 Rebecca Huggins. All rights reserved.